Google has finally announced its worst kept secret of September – the launch of two new Nexus smartphones, that arrive running the company’s new Marshmallow operating system. The LG-made Nexus 5X and the Nexus 6P – a 5.7-inch device with a Type C USB port. The 6P will be available in three colors – frost white, aluminium, graphite – and offers up a 12.3-megapixel rear-facing camera and 8-megapixel front-facing camera for selfies. Powering the Nexus 6P is a 2.0Ghz Octa-core Qualcomm processor and 3GB of RAM. The 5X is the smaller of the two devices, with a 5.2-inch full HD screen, but it still packs in a 12.3-megapixel camera, front-facing 5-megapixel snapper and a 1.8GHz Hexa-core 64-bit Qualcomm processor. 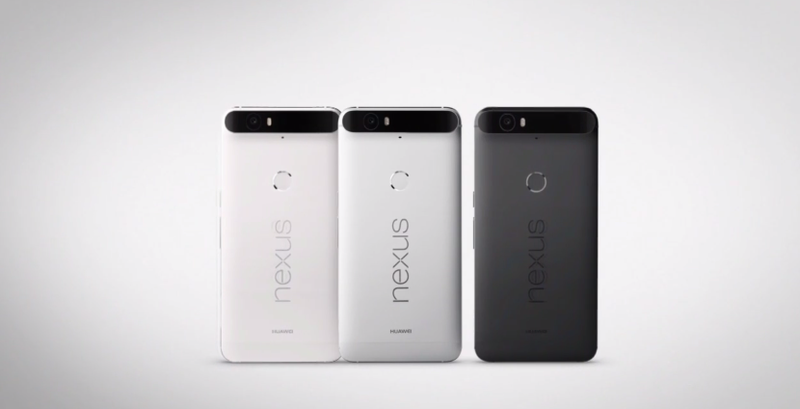 Just like the 6P, the 5X will also be available in three colors – carbon black, quartz white and ice blue. Both devices also sport a fingerprint reader that makes use of Google’s new Nexus Imprint software introduced with Android M. Neither of them offer microSD support or Optical Image Stabilization on the cameras though. Both new smartphones will arrive running the new Google M (Marshmallow) OS, which has a number of key changes, including more granular controls over app permissions and Now on Tap – a new way to use Google Search across the entire phone, without leaving the app you’re currently using. In addition to new features and design tweaks, Google says the OS will also use less battery now too, by allowing the system to go into a deeper ‘sleep’ mode when not being used. In a bid to cut down on the amount of unwanted pre-installed software to arrive on Android M devices, you are now able to uninstall any app on the device. The update to Google Android 6 Marshmallow will start rolling out to existing devices (5, 6, 7, 9 and Player) from next week. The two new Nexus smartphones are available to pre-order from today. The 5X starts from $379 and the 6P starts from $499, rising to $649 for the 128GB device. Unlocked models should ship late next month. Finally, Google announced Nexus Protect, an insurance policy that protects against breakdown or accidental damage. The Nexus 5X costs $69 for two years, while the 6P costs $89.